This classic white kitchen, designed by the team at Lang's Kitchen & Bath, features stacked glass cabinetry, a downdraft cooktop, and a customized island and hutch to add ample storage solutions! 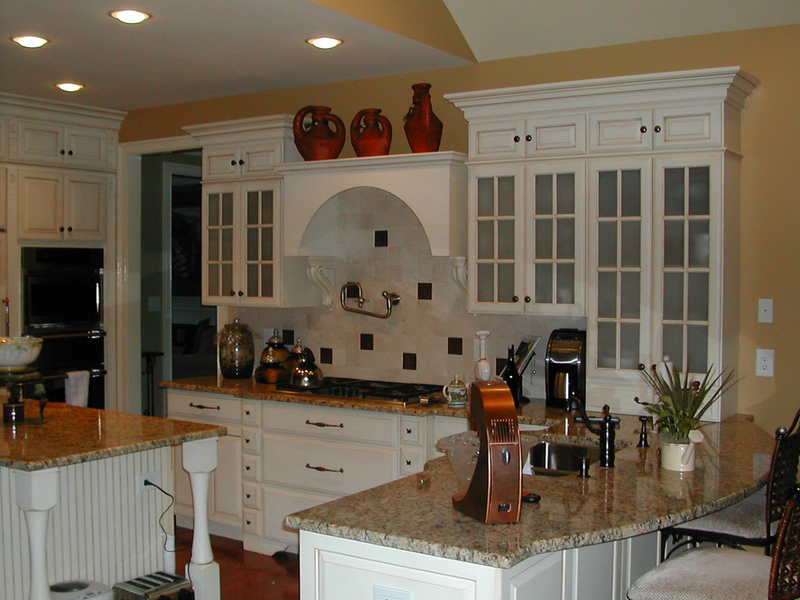 The professional kitchen designers at Lang's Kitchen & Bath are eager to help you get started on your next project! 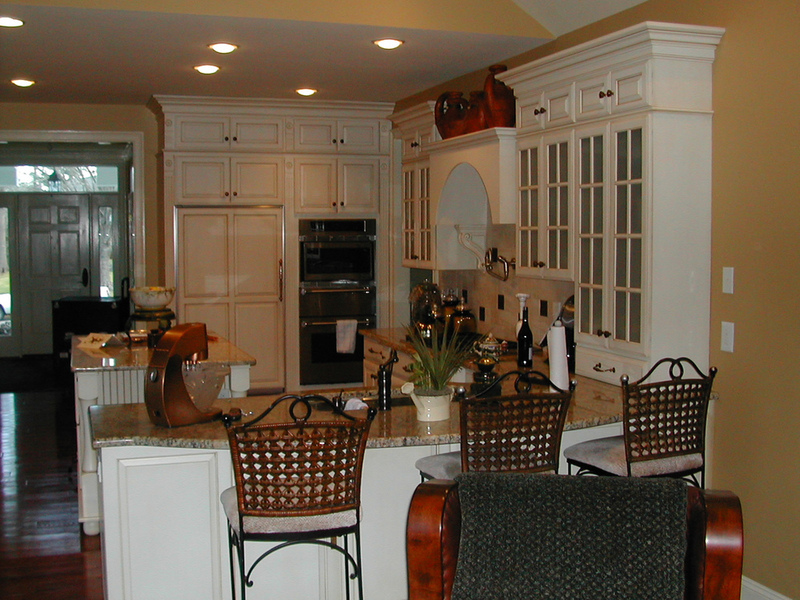 The stacked glass cabinetry and downdraft cooktop are highlights of this kitchen renovation. 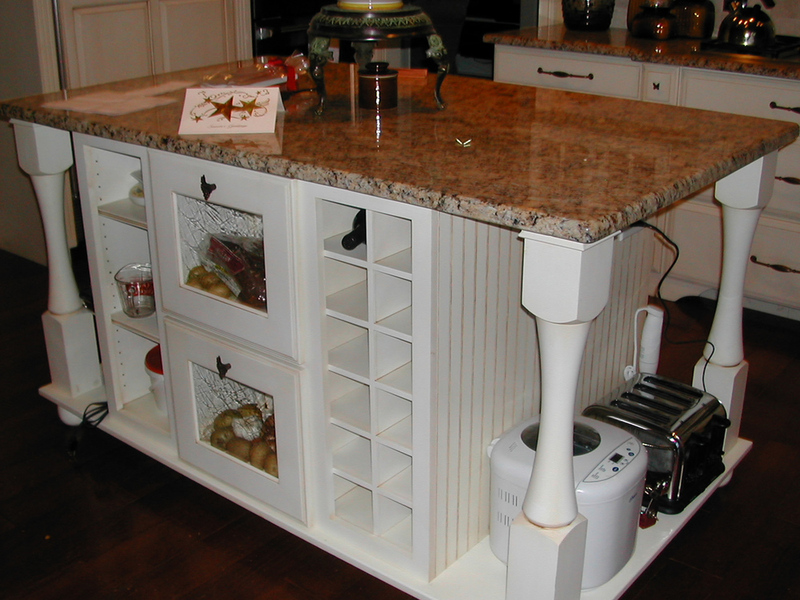 A customized island and hutch complete the look and add to the ample storage solutions in this kitchen design.